The talk this week at Mobile World Congress has been largely positive about Microsoft's latest iteration of its smartphone UI, Windows Mobile 6.5. Still, some of us at Engadget (well, one of us, at least), feel like the folks in Redmond missed the mark by a longshot. Instead of demonstrating its technical prowess and vast resources, Microsoft limped out a half-hearted rehash of an OS we've seen all too much of, and managed to blind most onlookers with a storm of big time partnerships and bloated PR. While their major competitors (and even some allies) in the mobile space seem bent on changing ideas about how we interact with our portable devices, the company proved once again that it's content to rest on its laurels and learn little from its mistakes. To give you another side of the story -- a side which I think Microsoft has done an immaculate job of hiding this week -- here's ten reasons why Windows Mobile 6.5 disappoints. 1: It's exactly the same as Windows Mobile 6... er, 5. That's right -- there are no underlying changes to the core system here at all (Windows CE 5). Sure, there are a few cosmetic tweaks and couple of new pieces of functionality, but underneath what amounts to a new skin, this is essentially the same Windows Mobile you've come to know and... well, you've come to know it, right? Just imagine if Palm gave Palm OS a new paint job and told you it was a new version. Sort of the same idea. 2: The interface improvements are still way behind the curve. At a distant glance some of those updates seem pretty neat, but get up close to them. The swiping and scrolling gestures are awkward (as noted by Chris Ziegler in his hands-on), in fact, they seem to work almost opposite of what is truly intuitive and "finger friendly." The honeycomb menu is a glorified grid, a sign that Microsoft has gone out of its way to avoid a grid -- but they fail to see (or don't care) that regular grids make a lot of sense. They essentially fixed something that wasn't broken. In our video, the rep says you can tell you're at the top of the honeycomb because there's an "empty space at the top." Intuitive, no? Besides that, the big menus may be easier on the eyes, but they're just zoomed in versions of previous iterations... you're still jumping through multiple levels to get where you need to go. Microsoft touts touch in the new version, but things like the corner buttons aren't optimized for fingers at all. I was going to give Redmond points for the unlocking scheme (which lets you jump right to a specific app), but they've already been beaten there by... the Meizu M8! 3: The UI tweaks are mostly just skin deep, and third-parties have already gone way deeper. Why didn't Microsoft just buy the UI from SPB? Look at the most recent version of SPB Mobile Shell running on a Touch Diamond. Not only does it include truly interesting and innovative features like Facebook integration and multiple homescreen support, but it blows the doors off of 6.5 in terms of speed... and it's running on previous generation hardware. 6.5 seems to have serious trouble doing basic things like scrolling through the honeycomb menu (on the newest HTC device), while Mobile Shell introduces an almost Tegra-like 3D interface on an older phone. Where were these guys when Microsoft was reskinning? 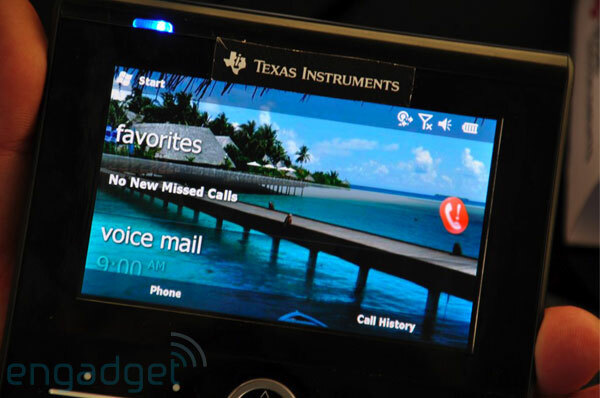 If the company had introduced this UI at MWC, we're pretty sure people would have lost their minds completely. Adding insult to injury, there are still plenty of areas in the UI that are just as dated and janky as they were in 6 and 5. Just take a look at those My Phone screens or the calendar view. Beyond that, companies like HTC and LG who've spent a lot of time and money developing their own skins for Windows Mobile may not be so quick to part with their work -- especially when it seems markedly better. Don't be surprised if Microsoft's tweaks get left on the cutting room floor with some of the higher end devices. 4: It doesn't support capacitive touchscreens. 6.5 supports resistive touchscreens. In fact, it only officially supports resistive touchscreens. Resistive touchscreens are less accurate and more frustrating to use with full touchscreen devices, and most of the new Windows Mobile devices are built around full touchscreen navigation! It's truly a mystery as to why Microsoft refuses to implement a superior technology. We did see it installed on a TI device with a capacitive screen, but it's clear that there's no effort to make this play nice with these displays (the rep in the video seems to suggest that Microsoft didn't lend a hand here). At any rate, if the scores of inaccurate, jumpy demos we've seen are any indication, using 6.5 -- no matter how "finger friendly" they tell you it will be -- is going to be a royal pain on resistive screens without a stylus. And you know how we feel about styli. 5: It's not due out until "later this year." 6: You probably can't upgrade your phone. Guess what? If you want to use 6.5 on your device... well, you're probably going to have to buy a new device. According to Microsoft, no device older than what was launched this week at MWC will be eligible for an upgrade. That's right, not your new Touch Pro, Touch Diamond, Xperia X1, Shadow, or Treo Pro (assuming you can find one anyway). Furthermore, the company is saying that no phone without a Start flag hardware button will be eligible for 6.5, so you might want to put those TG01 plans on hold for a moment (even though Toshiba claims it will be running 6.5... maybe they're going rogue). 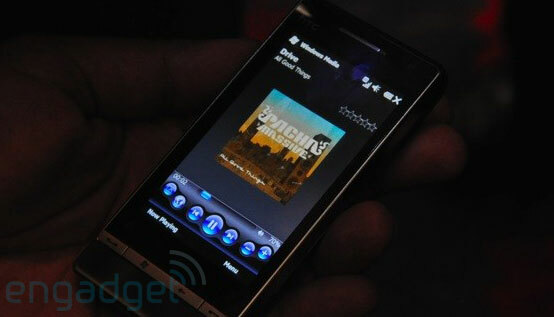 7: No Zune integration. Not even a new Windows Media Player. C'mon Microsoft. You're gonna boost a variation of the Zune interface for your mainscreen navigation, but you're not introducing some actual integration with your Zune service? Oh, and you're just leaving that busted old WMP on there, old skin and all? If that doesn't say 50 percent effort here, nothing does. This year, there are a lot of keyboard-less devices hitting the market. With phones like the Touch Diamond2, Garmin M20, and the LG GM730 all headed into user's hands, anything less than a "best in class" on-screen keyboard would be a tragedy. 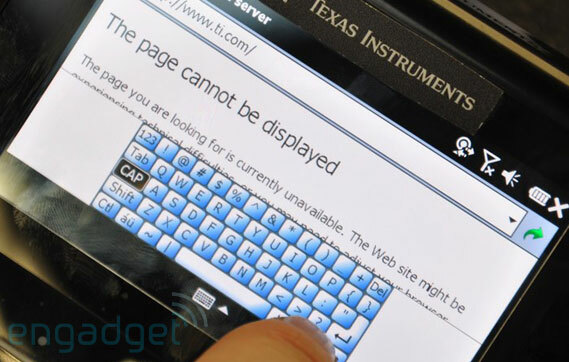 The only 6.5 device we've seen demoed that wasn't using a third-party keyboard was TI's OMAP dev unit... and it was sporting the tiny, frustrating standard WM 6 pop-up keyboard. Not exactly heartening stuff. 9: The browser is still weak. There's no question that Microsoft has gone to great lengths to improve mobile IE, but it's still not where it should be. Scrolling and zoom smoothness is still way off for a browser of this class, and some of the navigation (like controlling that zoom) is clunky at best. There's a reason companies like HTC are tacking Opera Mobile onto their devices, and we're not sure that this will do anything to alleviate the issues. 10: It doesn't innovate in any way. More than anything else, however, the main reason I'm disappointed with the new Windows Mobile doesn't have to do with features, lack of features, or UI design. It has to do with what 6.5 shows of Microsoft. Instead of stepping up to the plate and trying to do anything daring, new, or even remotely innovative, the company has shrunk from taking chances and delivered a new phone OS that's not simply more of the same, but more of the same dressed up to look like something new. While scores of their competition in the mobile space are working new angles to improve the user experience and change attitudes about what mobile devices can do, Microsoft has taken a bare minimum approach, likely satisfied that a new coat of paint and some minor flash will keep consumers coming back for more. Unfortunately for the company, they may find reactions from even their base might not be what they're expecting. If we've learned anything over the past few years, it's that new ideas are just as -- if not more -- important than sheer market presence. Brute force may get the job done for a short time, but failure to innovate has repercussions... just ask the auto industry.